The Senior Social was, once again, a great success. S5, S6 and staff enjoyed the evening at the Marriott Hotel, celebrating the end to a successful session and marking the end of school for all those in S6. A party of 27 pupils and 4 staff are currently enjoying a five-day trip to Berlin. This is organised jointly between the History and Modern Languages departments and, whilst there, the group will be visiting a range of historical sights, finding out about German culture and trying out their language skills. End of term trips to M&Ds theme park and Blackpool Pleasure Beach will provide a fun end to the session, for many pupils too. A group of senior pupils had a great day at Clyde Gateway, celebrating their success with the Urban Plan UK competition. Pupils have received a Newsletter, which contains important information about end of term and start of session arrangements. Please check school bags! Our best wishes go to three staff who will be retiring this summer – Mrs Ann Fernie of the Art and Design department, Mrs Anne Mitchell, our Classroom Assistant and Mr Phil Forster, our Attendance Officer. Sincere thanks go to each of them, for all they have contributed to the school and we wish them a great deal of health and happiness in the years ahead. The school will close for the summer, on Wednesday 29th June, at 1.00 p.m. SQA results will be published on Tuesday 9th August and senior staff will be available in school that day, if there are any issues with the receipt of results. Pupils in S5/6, who wish to change some subject options, in the light of results, should make an appointment to meet with Mrs Kerr, on Thursday 11th August, between 9.00 a.m. and 3.00 p.m. The school will re-open for pupils on Wednesday 17th August, at 8.55 a.m. Pupils travelling by school bus can go on any Kilsyth Academy bus that day, pending the issue of bus passes. Congratulations to pupils in the new S6, who have been elected as Prefects for session 2016-17. They are: Katie Allen, Robbie Brown, Kyle Brown, Courtney Campbell, Laura Cochrane, Grant Douglas, Imogen Fleming, Julia Fountain, Archie Grant, Elli Gregg, Kira Lundy, Lauryn Macniven, Lewis Maloney, Holly McArthur, Kiera Meiklejohn, Craig Melvin, Lauren Miller, Ann Paterson, Ross Quinn, Abbie Rankin, Jack Rennie, Frazer Sherlock, Lewis Sherlock, Rory Smith, Georgia Stevenson, Calum Stewart, Lindsay Sword, Heather Taylor and Murray Wilson. Award Ceremonies have now been held for all year groups, at which we were delighted to recognise a wide range of achievements from so many young people. At the Senior Awards Ceremony, we were pleased to welcome Gerry Hughes, as our Principal Guest. Gerry is the world’s first deaf yachtsman, to sail single-handed around the world, passing the 5 great capes. It was great to hear his story and the impact he has made upon the education of deaf children. 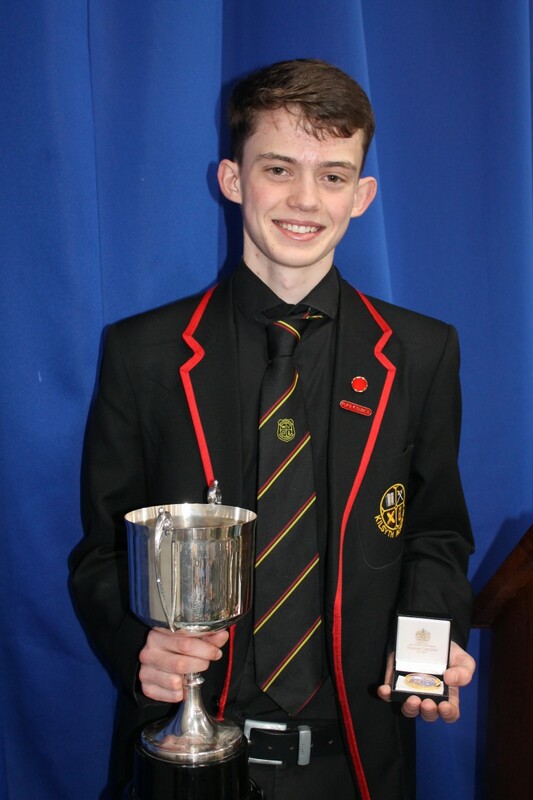 Our Dux for 2015-16 was confirmed as Archie Grant (5C), who richly deserves the accolade, and the Inter-House competition was won by Antonine House. 3rd Ross Chalmers – Light Bulb Moments and Jam Side Downers. We also held our first Rotary Debating competition, with the teams debating the motion ‘The UK should remain as part of the EU’. The arguments were well thought out and the pupils performed to a very high standard. The winners were Morgan Waite and Eilidh Stewart (2B). Congratulations! Our thanks go to the Rotary Club of Kilsyth, for sponsoring both events. A number of Modern Studies pupils attended the NLC International Conference last week, representing Hungary. The pupils had a great day and participated really well in the debate and in the question and answer session. Thursday 23rd June will be a staff in-service day, as the school is being used as a polling station, for the EU Referendum. The school will close for the summer, on Wednesday 29th June, at 1.00 p.m. and will re-open to pupils on Wednesday 17th August, at 8.55 a.m.
Kilsyth Academy participated in the North Lanarkshire Athletics Championships at Wishaw, over the last two weeks. The team won nine medals over the course of the two days of competition. This included a very impressive performance from the S3 Boys 4×100 metres relay squad, who picked up the silver medal in a very close finish. In addition to this, two of our pupils, Jamie Stevenson and Rebecca Love from S3, were selected to represent North Lanarkshire in the Scottish Schools’ Inter Area Championships at Grangemouth, later in June. Scott Lilburn – 4th in 800m; Aidan Belton – 4th in Javelin; Ross Alexander – 4th in Javelin; Connor Robertson S1, who qualified for the 800 metres final and Lauryn Robertson who qualified for the Senior girls’ 200 metre final. Congratulations to all. Holly McArthur represented Kilsyth Academy in the Scottish Schools Athletics. Holly won gold in the under-17 women’s pentathlon, with a total of 3713 points, smashing the under-17 women’s record that has stood for 45 years. This is a superb achievement and we are extremely proud of Holly, who is currently training with the Scotland squad, in Portugal. The P7 children who will be transferring to Kilsyth Academy, in August, spent two days in the school, following S1 timetables and meeting a number of staff and senior pupils. There was a great deal of excitement and enthusiasm and we look forward to working with the youngsters, in the years ahead. 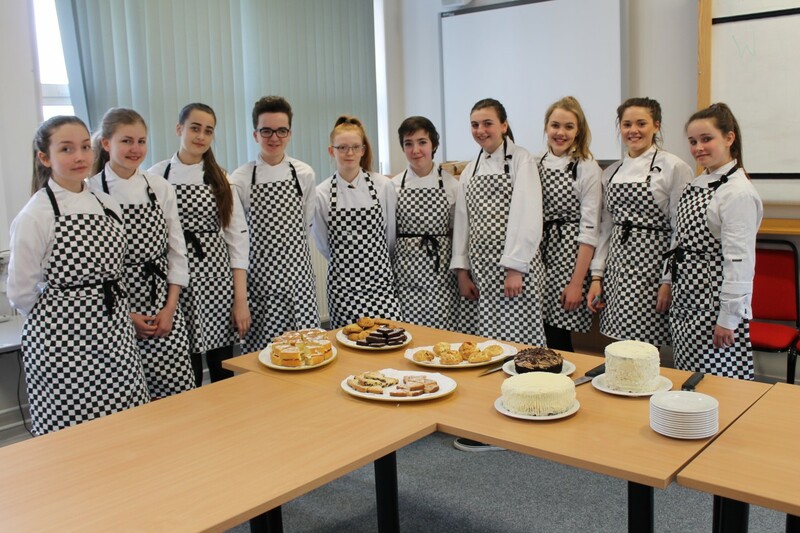 A number of our new S5/6 pupils visited New College Lanarkshire, in Motherwell, and enjoyed a variety of taster sessions for a range of courses that the college offers. The annual Rotary Bake-Off took place last week and, as always, was a great success. The pupils spent the morning baking and, early in the afternoon, their cakes were judged. Congratulations to Jennifer Wright and Kimberley McBride, this year’s winners, who baked a delicious rainbow cake and chocolate brownies. In the afternoon, some older citizens from the local community visited the school and were treated to afternoon tea, with an opportunity to eat the cakes that had been baked earlier. A team of S1 pupils took part in the Salters’ Chemistry Challenge, held at the University of Glasgow. There were two main challenges, the first in the morning set by Salters’ and the second in the afternoon set by the university. In the morning challenge the students worked in teams and used Analytical Chemistry techniques to help identify a suspect in a crime. In the afternoon they again worked in teams to solve another forensic science based problem. This was followed with a lecture on “Chemical Magic” involving fun chemical reactions. Despite not winning any of the top prizes the pupils had a great day out. Members of the S1 team representing Kilsyth were Morgan Waite, Aaron Fitzsimmons, Alana Thomson and Mark Donnelly. Well done! 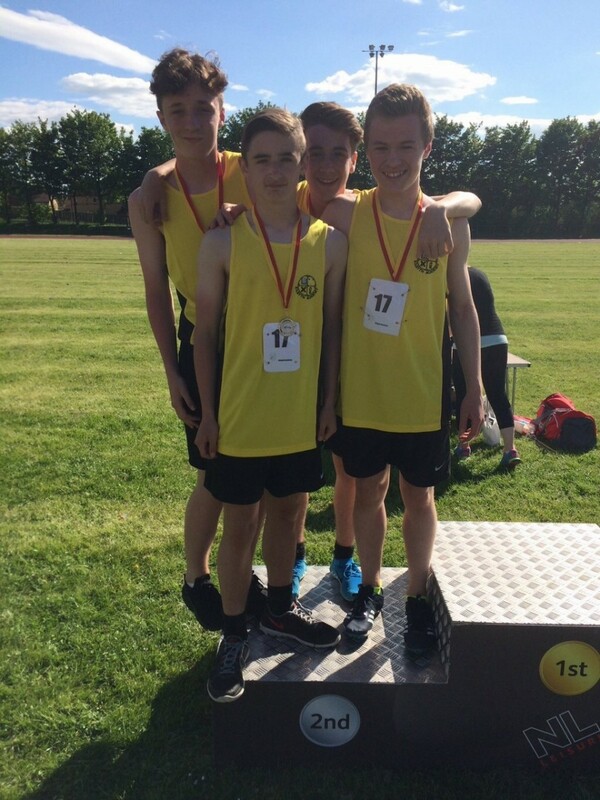 S3 Boys Relay (Jamie McCaughey, William Burke, Jamie Stevenson and Jay Coyle) – Silver. Congratulations to all. We look forward to welcoming the P7 children, who will be transferring to Kilsyth Academy next session, on Wednesday 8th and Thursday 9th June. During the two-day visit, the pupils will become familiar with their new classes and have an opportunity to meet some of their new teachers. The Information Evening, for parents of P7 pupils, will take place on Thursday 9th June, at 7.30 p.m. This is an opportunity for parents, to find out about all the arrangements for next session and to meet the Pupil Support staff, who will be parents’ first contact with the school. Our second Uniform Evening will also be on Thursday 9th June, from 5.00-8.00 p.m., in the café. The Senior Awards Ceremony will take place on Wednesday 15th June, at 7.20 for 7.30 p.m., in the Assembly Hall. Invitation letters have now been sent to the parents of recipients finishing S4, S5 and S6 and we hope for a large turnout, to celebrate the many achievements of our young people, throughout another busy year in Kilsyth Academy. Our Principal Guest will be Gerry Hughes, the first deaf yachtsman to sail single-handedly around the world, via the five southernmost capes, and I am sure his story will prove inspirational. Junior Award Ceremonies will take place, during the school day, on Thursday 16th June, when we will once again celebrate a wide range of pupils’ achievements, for those finishing S1, S2 and S3. Congratulations to Miss Elspeth Strang, our new PT Support for Learning and Inclusion. It is hoped that Miss Strang will take up post on Monday 20th June and we look forward to working with her, in the future. Currently, Miss Strang teaches at Denny High School and she is a former pupil of Kilsyth Academy.